We will require two kinds of clothing one is normal summer one and one for high altitude destinations like Ghangaria and Badrinath. WE will be staying in Ghangaria for 3-4 nights and in Badrinath for a night. 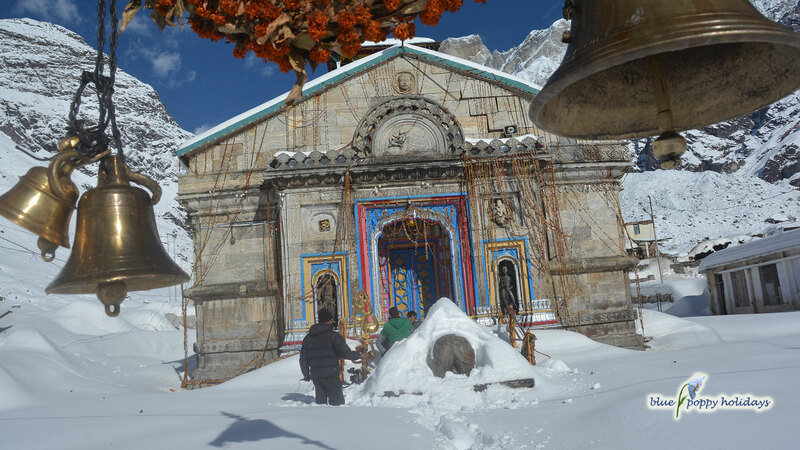 Temperatures in Ghangaria and Badrinath would be 5-10 degree Celsius in evening and nights, so we need some thermals. 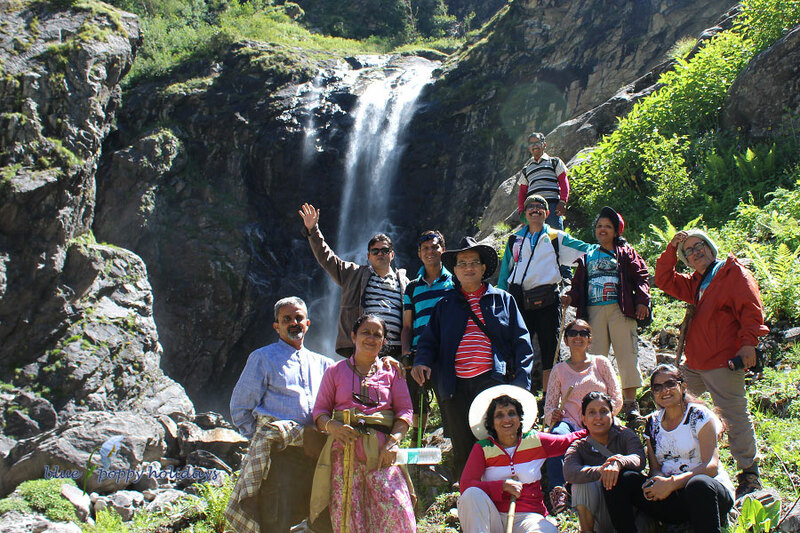 While trekking generally we do not need thermals except at Hemkund Sahib. Keeping in view of this following is necessary. T shirts or shirts required for 9-10 days. On trek we recommend capri pant as it may be raining and it will not get wet from bottom. For thermals you should take a light weight jacket, something like a wind cheater of good quality. You can also take a woolen sweater to wear in the evening along with the jacket. See the sample Jacket and Capri pant. 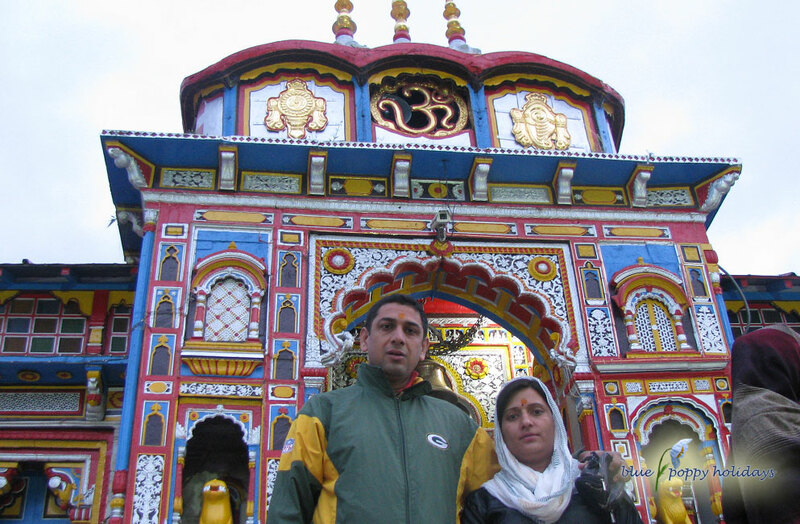 Mr Devkant Sangwan while coming back from Hemkund Sahib in September 2012. Gloves and hat if you wish. You will need bags for three different purposes. First is the main big bag in which you will be putting all of your luggage, it can be of any type. Second bag will be the bag in which you will be carrying some of your luggage from Govindghat to Ghangaira. Of course porters can be hired. The third bag will be a day pack which you will be carrying all the time on the trek. These bags are explained below. The main bag : It can be of any type but a big one. So that whole of the luggage can be put in it. You can optionally use two bags of 2nd category explained below. This bag has to be left behind in the vehicle at Govindghat when you go for the trek. The bag used for taking luggage from Govindghat to Ghangaria: This bag should be of moderate size as you will be spending four nights at Ghangaria and will be taking only luggage for that. This bag should be soft so that it can be put in basket used by porters. Check the below images for your reference. These bags will be carried by Porters / Ponies. Pictures are given below. Porters carrying bags, He can carry 3-4 medium size bags, as shown in picture. Pony Carrying luggage. it can carry 4-5 bags easily. This is small bag to be carried by you all the time and each one in the group should have this. You will be putting essentials in it, like camera, extra batteries, your valuables, Umbrella, medicines, eatables for the trek, water bottle and other items of this kind. Bags with least own weight are recommended. Waterproof bags is to be preferred. You will need a pair of shoes. Please check our detailed page (Link given below) on what type of shoes is necessary for the trek. 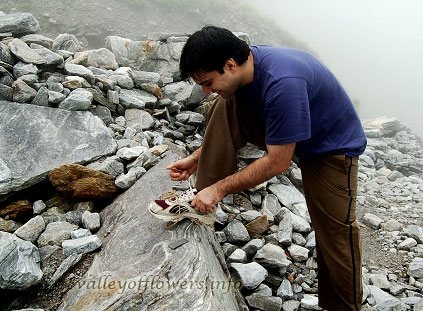 Please buy shoes well in advance so that you wear them before coming for the trek. New shoes may cause blisters while on the trek. Recommended type of shoes for the trek. Following is a detailed list of other items. Light weight torch. Preferably LED torch. Camera with extra batteries. Camera with high optical zoom is nice for bird’s photography. There will be some flowers in inaccessible area you can zoom them also. You should have at least 8 GB memory card in it, you may have extra memory cards. Multi-plug extension box, if you are coming in a group one extension for 3 people will be enough. There will be recharge plugs in rooms in Ghangaria but if you need to recharge more than one thing at a time you will need it. Multi-plug extension box, to be used to recharge camera batteries at Ghangaria. Important medicines such as muscle relaxant, antibiotics, tablet to prevent vomiting while travelling by road, crape bandage, band-aid (If shoes cut your feet ), crocin, some antacid and other medicines as per your personal requirement. Faviquick (A good quality adhesive), it can be very handy in case of breaking of shoes. Umbrella and not the rain coat because raincoat will be very uncomfortable while trekking. The rains in the area comes and goes very frequently so taking raincoat off and putting it again and again in the bag will be uncomfortable, moreover it will be airtight so you will be sweating a lot after wearing it and trekking. Whereas you umbrella can be put outside your bag itself in the space generally used to put water bottle. Polythene bags with zip-lock facility, you may take 5” by 7 “. They will be very handy on puting your electronic items in rainy season. You can also use them to separate medicines, toiletries and electronics etc. A good quality sunscreen, it is very important in this area. You will need to apply it 3-4 times daily. Dry fruits, chocolates etc you will need them while trekking, the idea is high energy low weight items. You can make a G.O.R.P. (also called trail mix) stands for “Good Ole Raisons And Peanuts”. But the ingredients don’t always have to be that boring. Nuts, seeds, dried fruit, chocolate, candies, crackers and cereals can be combined to make this staple backpacking snack that packs a lot of carbohydrates and calories. One cup of GORP (depending on ingredients) can provide as many as 700 calories. On a backpacking trip you have to drink a lot of water. But after a while the taste of water gets old. Flavored drink mixessolve that problem. Sports drinks like Tang provide much-needed electrolytes, salt and sugar. These drinks will be handy when drinking water from natural water sources. Ice tea powder can also be is also very tasty and a good option. A note book and/or writing paper and pen. Some water purifier tablets. Generally we use natural water at Ghangaria. If you wish you can bring some tablets to purify it. Toiletries, N.B as little as possible, if you are traveling with friends try to share toiletries. Pen drive filled with your favorite songs. Needle and thread can be very handy some time. At least 4 copies of your identity proof. They may be required while checking in to hotel. Knee Caps for you knees. They will protect your knees while trekking, they are really very helpful. Apart from these things to carry you need to take into consideration the following important instructions. Are there any ATMs after you start your journey from Haridwar? There are ATMs on the way but since it will be very tight schedule already we will NOT be stopping for cash withdrawal on the way. You should take out cash from Haridwar only a day before the start of the trip. How much cash you should carry? To calculate the amount of cash to be carried you need to take the following things in mind. Balance amount for the tour package to be paid to me. You will have to bear the cost of meals for approx 3 days. You may have to take a pony from Govindghat to Ghangaria, Ghangaria to Hemkund Sahib, and Ghangaria to Govindghat back. Pony will cost you approx 800 Rs for a day. If you are willing to take a helicopter between Govindghat and Ghangaria it will cost you approx Rs. 3500 for a one way trip. 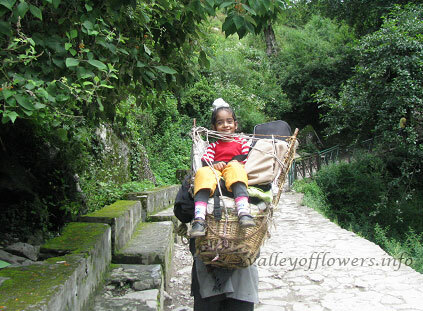 If you are not taking a pony you need to hire a porter from Govindghat to Ghangaria and back. It will cost you Rs. 800 for one way. Some cash for other personal unforeseen expenses. All the prices are indicative only, actual prices may differ depending upon demand and supply. Mobile network availability for your trek to valley of flowers. Mobile network will be off and on once we leave Rishikesh and enter the hilly region. Mobile will be working when we enter in cities. You should carry different service provider’s SIM, but BSNL and Idea are recommended. Once you start your trek from Govindghat you will have a feeble signal till 3 kilometers and after that you will enter a no signal zone. At helipad in Ghangaria you can witness a feeble signal of BSNL and IDEA but generally it is unusable. At Ghangaria you can make outgoing calls @ Rs. 10 per minutes. There are many PCO available. Actually they use Idea SIM and an antenna to enhance the signal. At Badrinath most of the SIM work. Both prepaid and postpaid SIM work in Uttarakhand, there is no problem unlike Jammu and Kashmir where only postpaid SIM works. If you have any other question please ask below, Mr Devkant will answer it, and it will be helpful for others also. After reaching Haridwar every participant need to sign the following document. For minors, their gardians will be signing it. 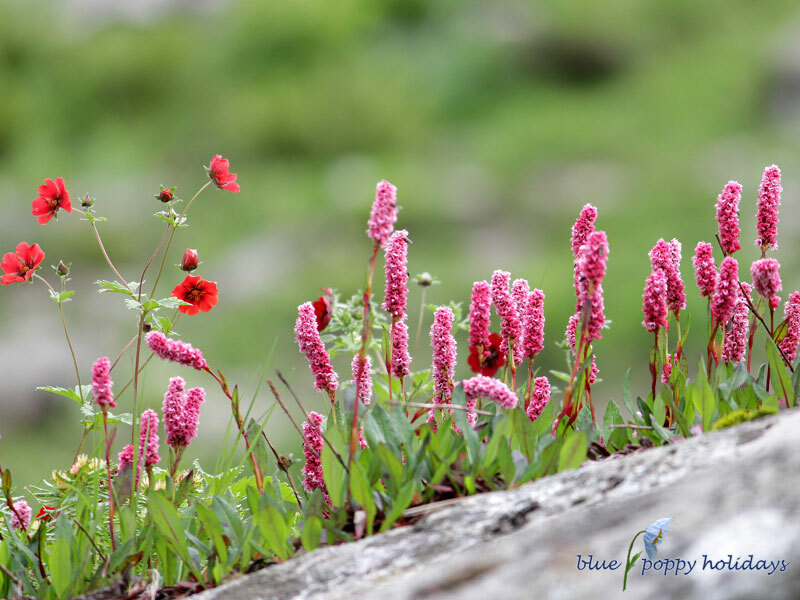 The Valley of flowers trek route in the Himalayas has its share of risks and dangers, especially with respect to the terrain, weather, high altitude and desolate nature. Accidents on this trek can cause one to get injured, fall ill and death too cannot be ruled out. I hereby declare that my participation in this trek is completely voluntary, and I am fully aware of the risks involved. I will not hold Blue Poppy Holidays Private Limited, its agents or employees wholly or partly responsible in case of any accident, illness, injury or death on the trek. I promise to be a responsible trekker and leave the mountain trails in a better condition than I find them. I will not pollute the trails, campsites or water bodies. I will bring back ‘all’ my own waste. As my contribution to leave the trail in a better condition, I will participate in activities to undo damage done by others to the environment. Thank you for the detailed itinery. The information provided is very helpful. I have booked trek for 13th-19th Sept. Please if it is possioble can you confirm me the hotel details for Haridwar and further. Also confirm that in Haridwar do we have to check in directly or we have to show any confirmation print out? Hotel Voucher has been sent to you. Kindly check the mail. You can show a soft copy or a hard copy of it in haridwar hotel. I'm joining you on 23rd Aug with Spouse. 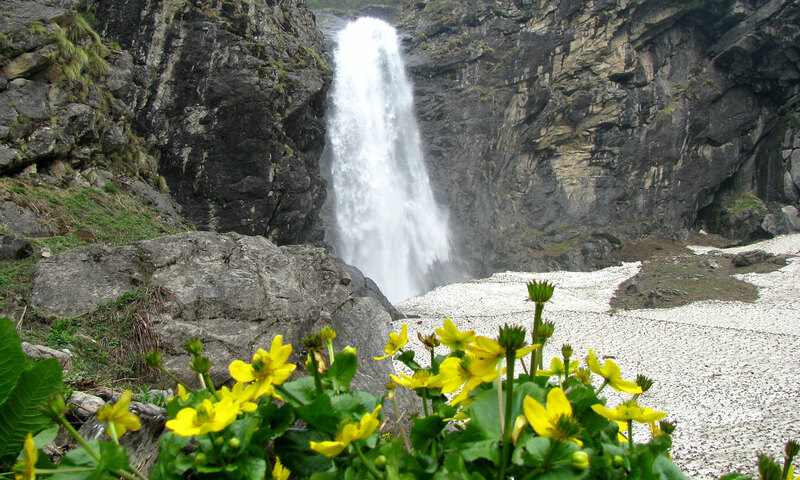 You website porovide so much detailed information, about Valley Of Flowers that hardly anything left out to ask for. I can say your website is like Geeta or Bible of VOF. It clears every smallest quary deeply. Hope to enjoy VOF at fullest. See you on the trek. Please recommend accommodations at Haridwar before and after trek. Thank you! Hotel voucher has been sent to you. Is the route safe now after the recent rains and river level rising? We are traveling on 25th July trek. How many KM do we need to walk on the second day to valley which goes deeper? Do we need to prebook the helicopter ride from Govindghat to Ghangaria? How do we do that? Yes the routes are safe now after the heavy rains around 26th June. We’ll go upto 10 Kms inside the Valley of Flowers on second day. You can book the helicopter ride then and there. During the trek in the valley do we need to carry water for the whole day? Is there any local arrnagment of water in the valley itself? Is a 2-3 liter bottle good enough? There is no need to carry water. You can drink water from natural streams there. A detailed mail has been sent to you for the itienrary and second thing is we can not share the information of other confirmed travelers with you as per company policy. Is oxygen required? Do you carry oxygen in case of emergency? Have heard that in Tungnath the air is thin and some have used oxygen. Generally the oxygen cylinder is not required, but as a precautionary measure you can carry on portable oxygen cylinder. The images for the bags are not available in above post. Could you please add it. Ok mam, Surely we will. Thanks for the suggestion. Porters are required as trekking itself will be quite difficult. You can put your luggage on the same pony if you are hiring a pony. If you are trekking you can hore a porter. Hey! I’m planning to go for a journey to valley of flowers and the gurudwara in july.Accompanied by my mother who’s 58yeras old,she has no health related issues neither do I Is it possible for us to do this? Also after last year’s flash floods,please guide us through the changes and also if these places would be accessible this year,i mean the tracks and all which were destroyed,are rebuild or not,also mail me the itinerary please. You have got the itinerary, for your mother you can read Can Senior Citizens be taken in Valley of flowers. What are the options to skip trekking on various days. 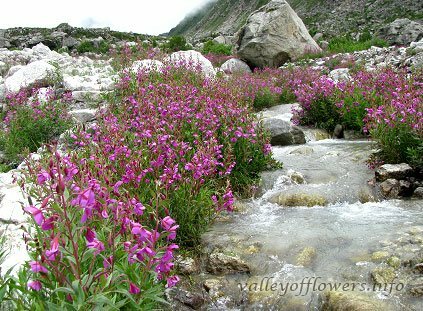 Is valley of flowers would be open this year. As per my information bridge connecting from Ghangaria to valley of flowers is baldly damaged during 2013 floods. 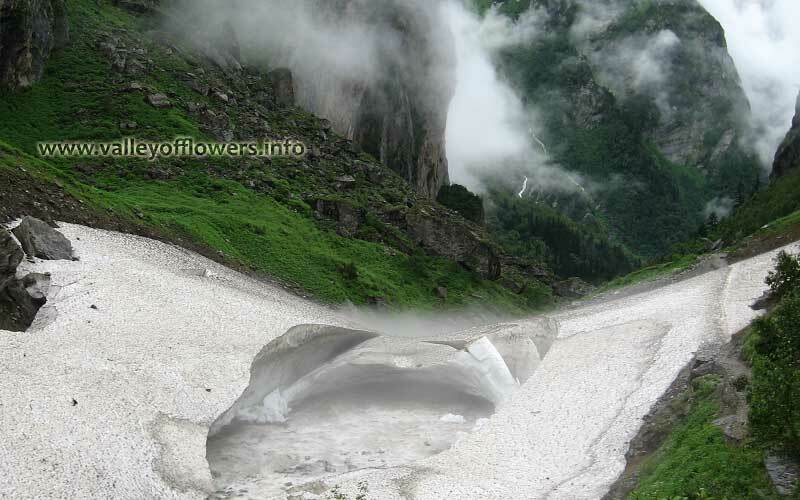 Please read our page on Will Valley of Flowers open in 2014? Do we need to carry walking stick? We all 4 persons are 52+. 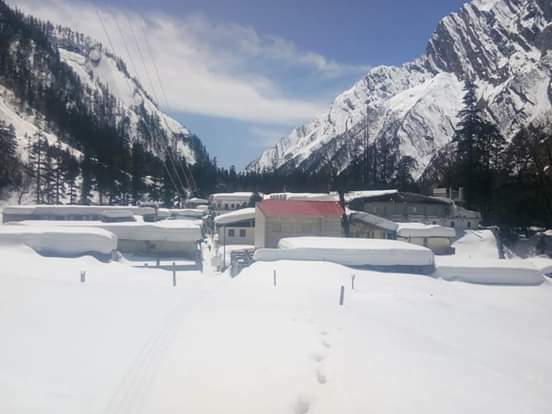 Do we have any small shops/tea stalls on our way to Ghangaria and Hemkund sahib for having tea/coffee or for buying things like biscuits, chocolates etc.? 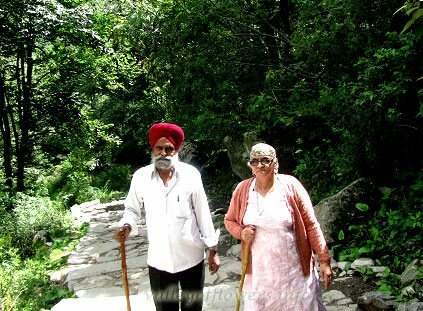 You do not need to carry walking sticks, they are easily available at Govindghat and Ghangaria. Yes tea shops are available on the trek almost everywhere between Govindghat and Ghangaria. They are also available between Ghangaria and Hemkund Sahib but less in numbers. Everything will be double the MRP in these shops. It is a good idea to carry some chocolates etc . You can but them at Joshimath where you will get everything at MRP. MRP means Maximum Retail Price for the reference of people not from India. Tea you can have in these shops.